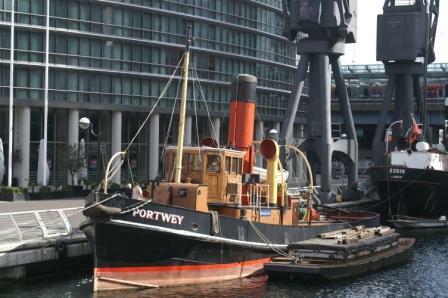 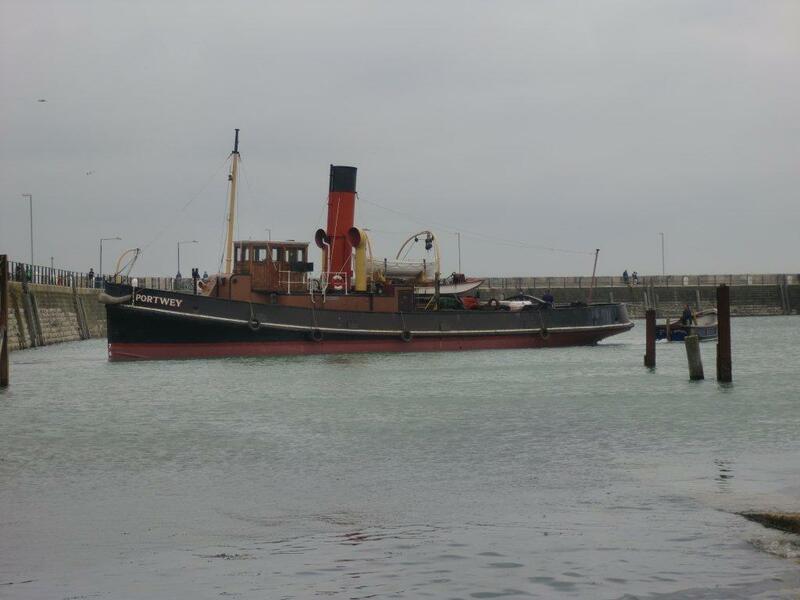 A fine example of a small steam coastal and river tug, the twin screw, coal-fired PORTWEY was ordered from Harland & Wolff, Govan, in October 1926 for barge and collier towing duties with the Portland & Weymouth Coaling Co. at Weymouth. 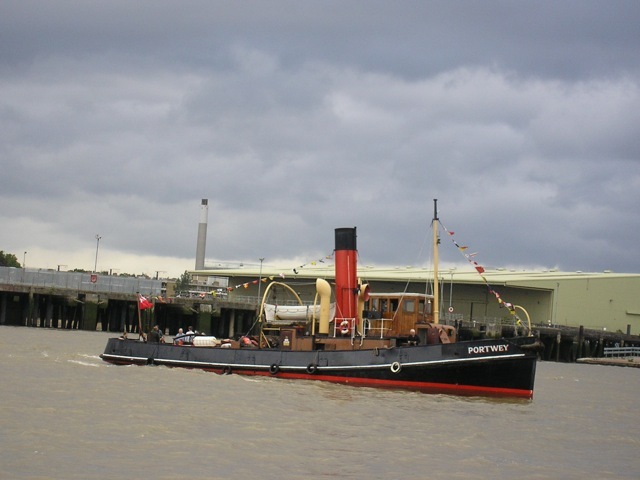 Her enginers were built by W. & D. Henderson, Glasgow, and she was launched on 10 August 1927 and completed on 28 April 1928. 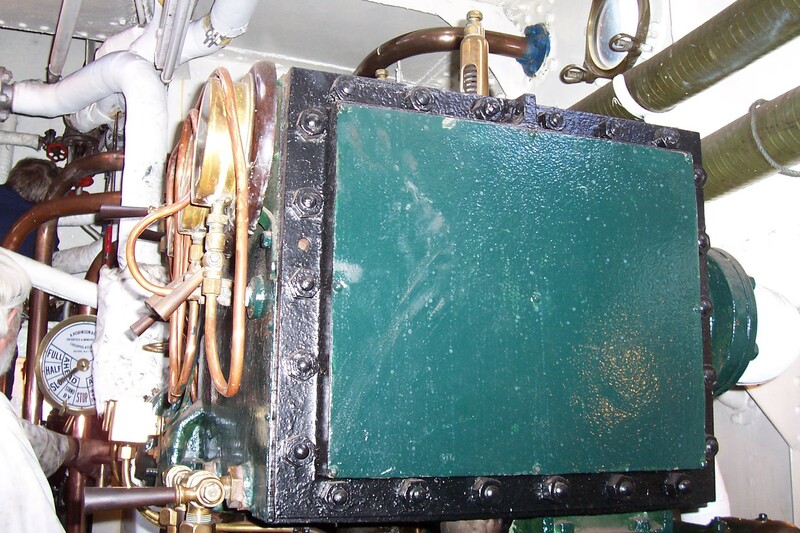 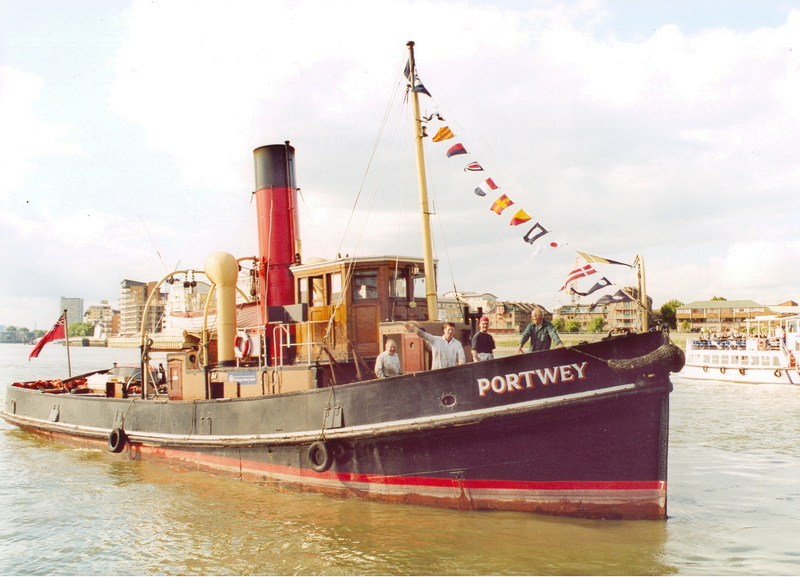 In addition to being equipped for towing, PORTWEY was fitted with water tanks, of 33 tons capacity, to take fresh water (as well as other supplies) to ships. 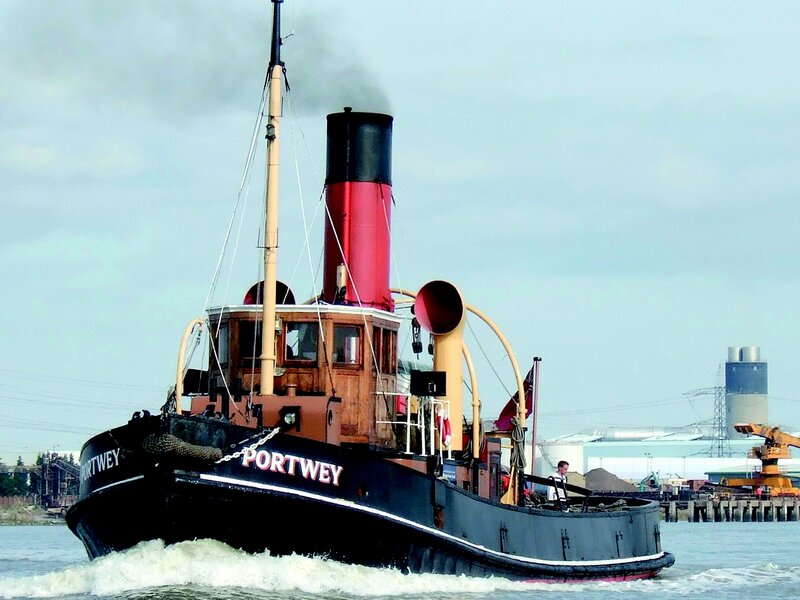 In 1938, she was sold to G. H. Collins & Co. Ltd of Dartmouth, still under the ownership of the previous holding company, Evans & Reid. 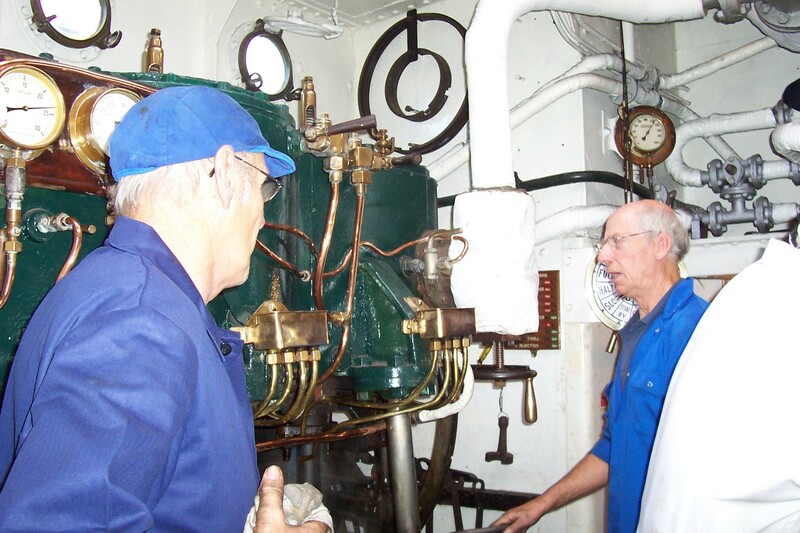 In 1942, she came under the control of the US Army at Dartmouth: her duties included towing damaged vessels back to port. 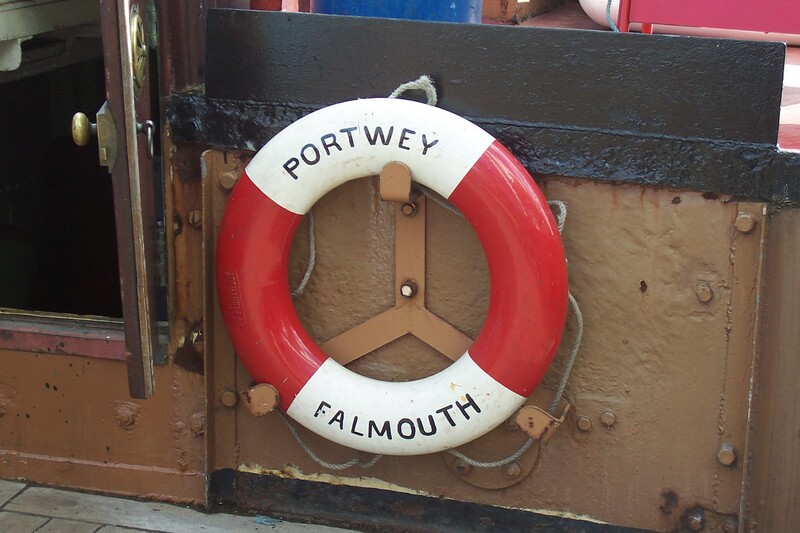 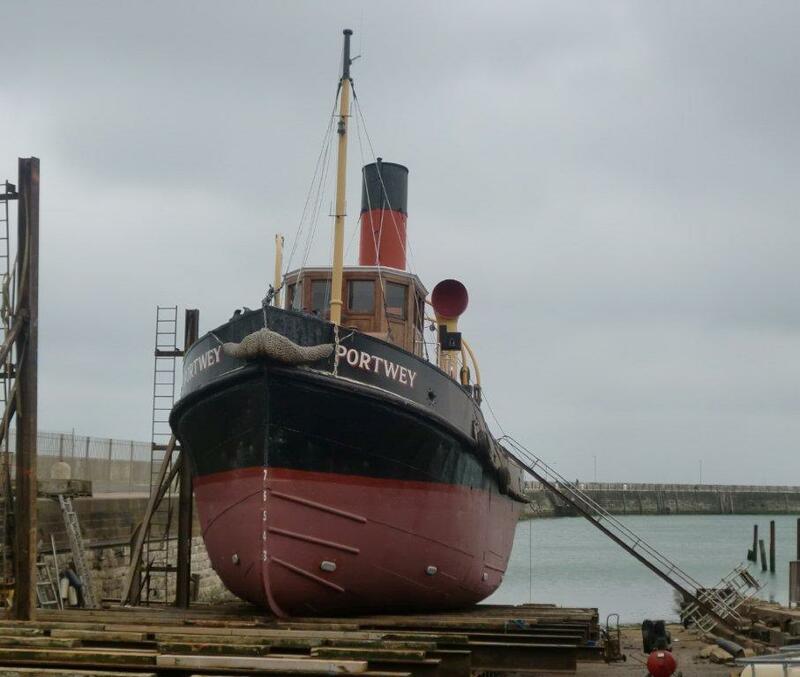 After the war, PORTWEY returned to Weymouth (with the Channel Coaling Co., another Evans & Reid subsidiary) until August 1951, when she was sold to the Falmouth Dock & Engineering Co. Ltd at Falmouth and was used in towage duties in Falmouth harbour for fourteen years. 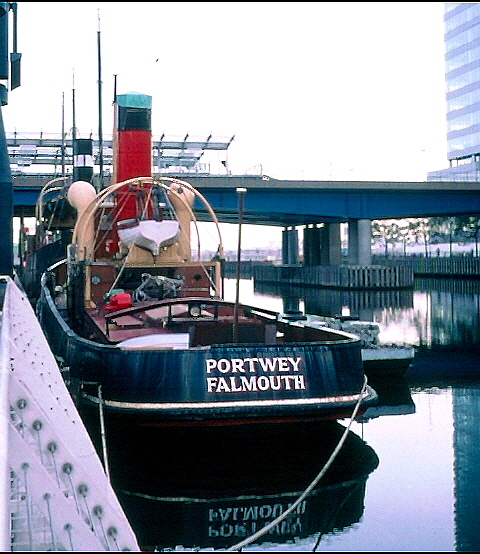 In 1965, she was used on a contract at Holyhead and then withdrawn from service. 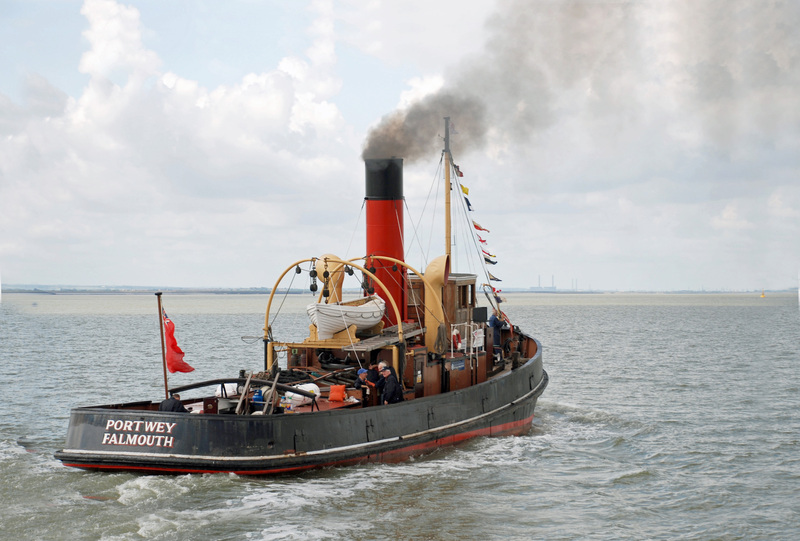 In 1967, she was bought for preservation by Richard Dobson of Stoke Gabriel, on the River Dart, and steamed there from Holyhead. 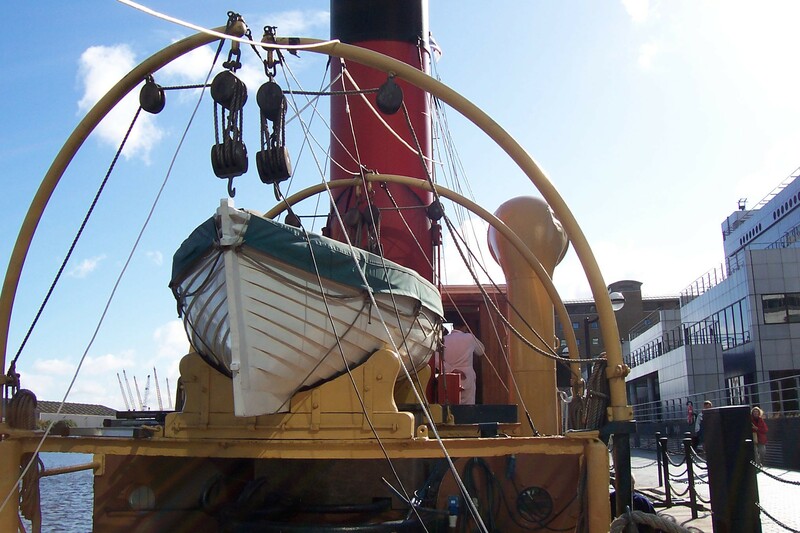 She took up moorings on the Dart, and for fifteen years, a dedicated group maintained and restored her, and she was regularly steamed in the summer months. 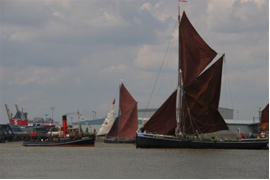 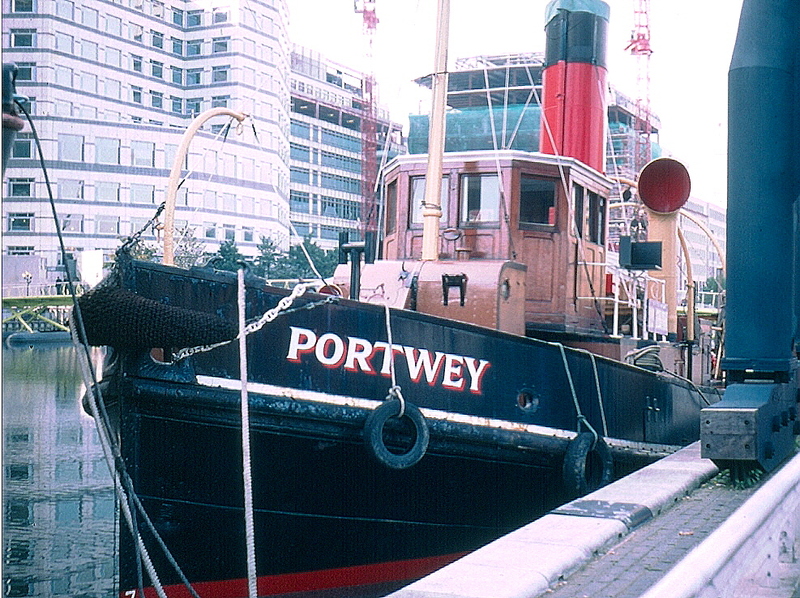 In 1982, she was sold to the Maritime Trust (who had previously assisted with her restoration) and steamed to London in June of that year to join the historic ship collection in St Katharine Docks. 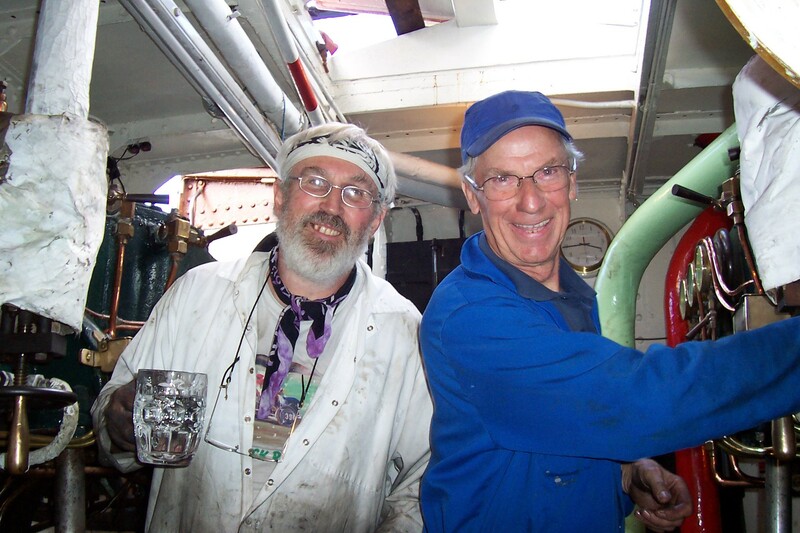 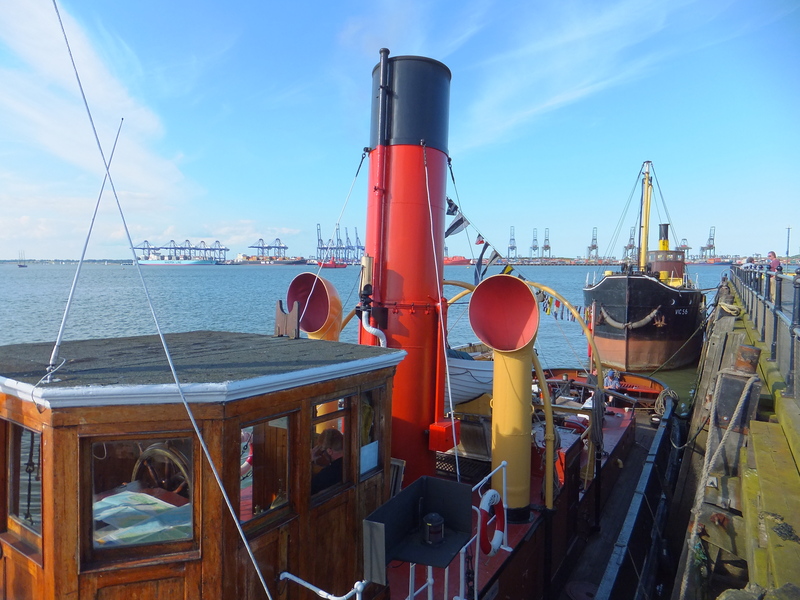 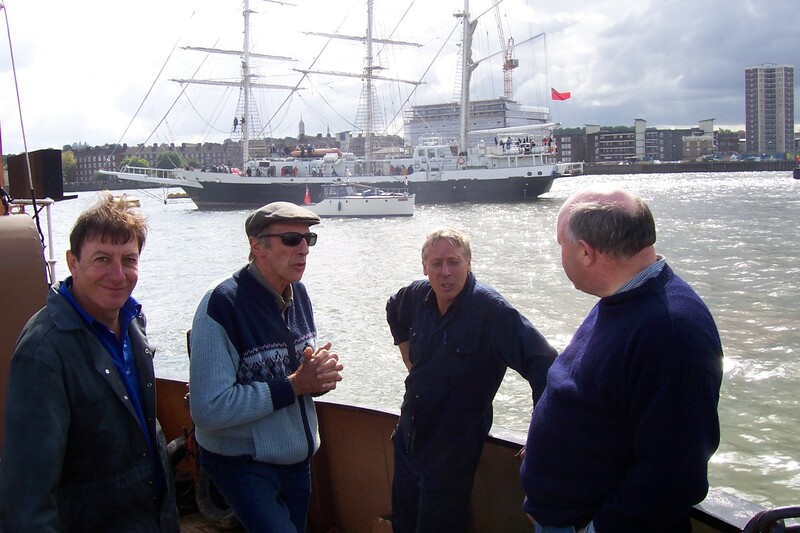 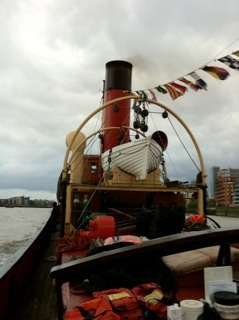 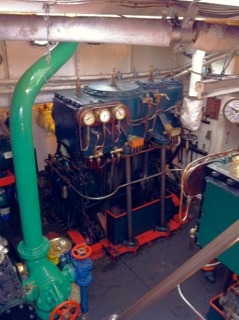 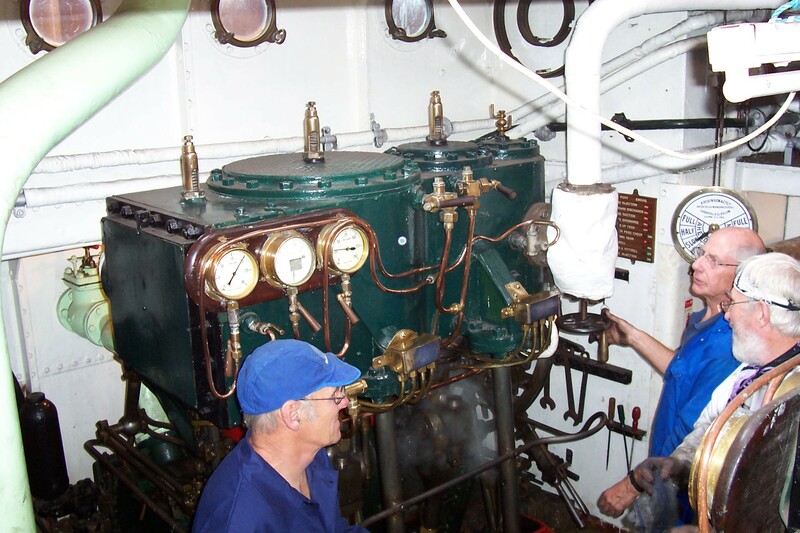 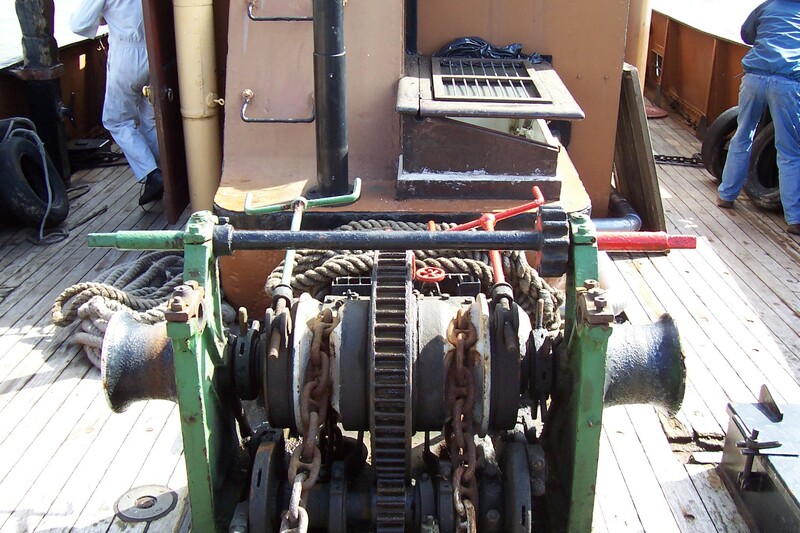 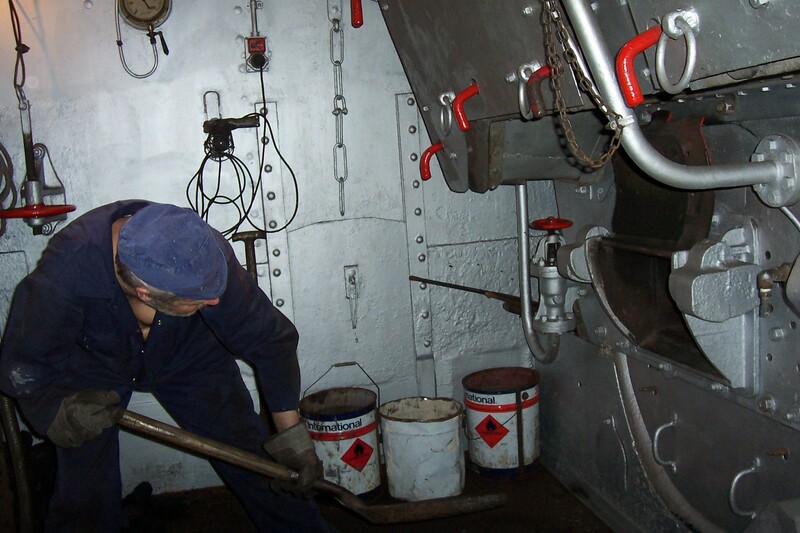 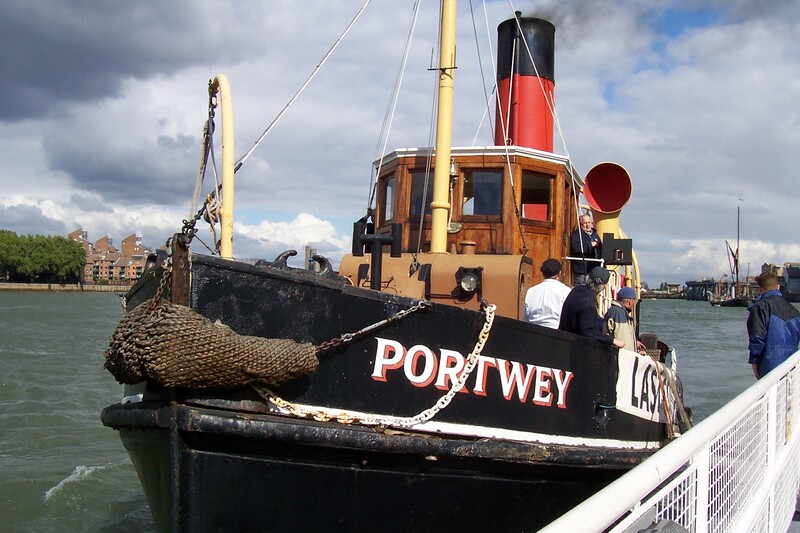 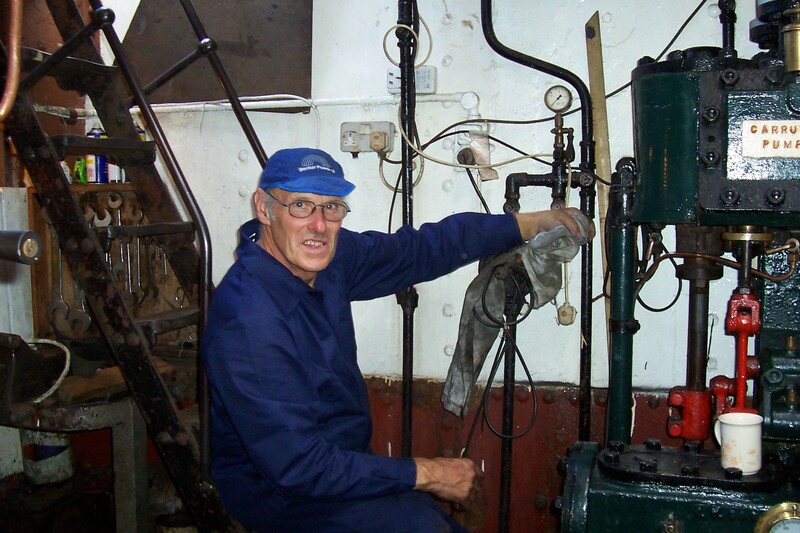 In June 2000, she was chartered to the Steam Tug Portwey Trust, which was formed to continue the programme of renovation and operation of the vessel.